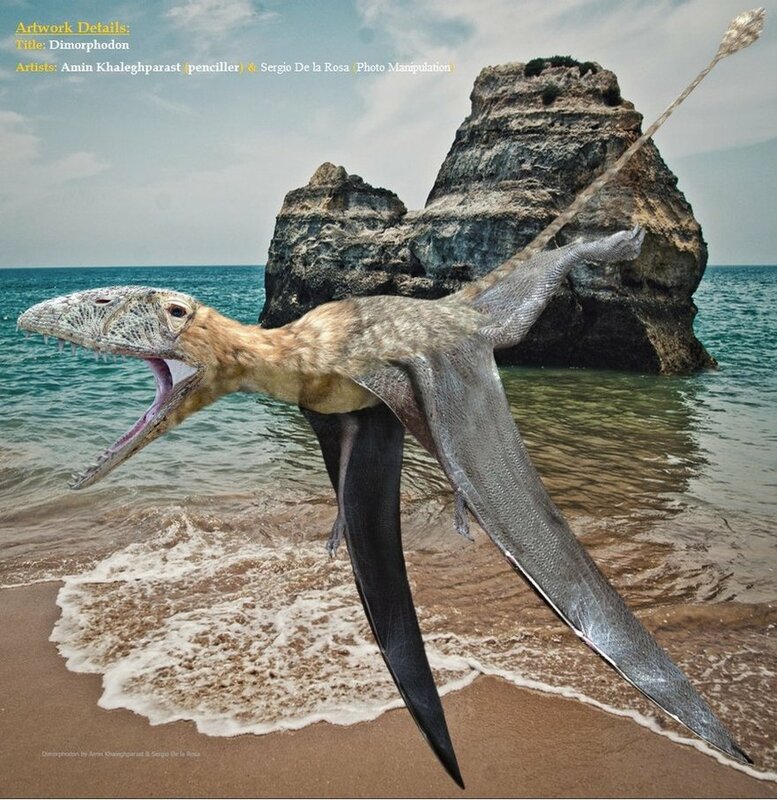 Dimorphodon is a pterosaur which lived approximately 175 million to 160 million years ago – from the Middle Jurassic Period through the Late Jurassic Period. 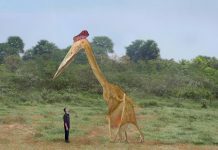 It was first discovered during the 19th century and was named by Richard Owen in 1859. 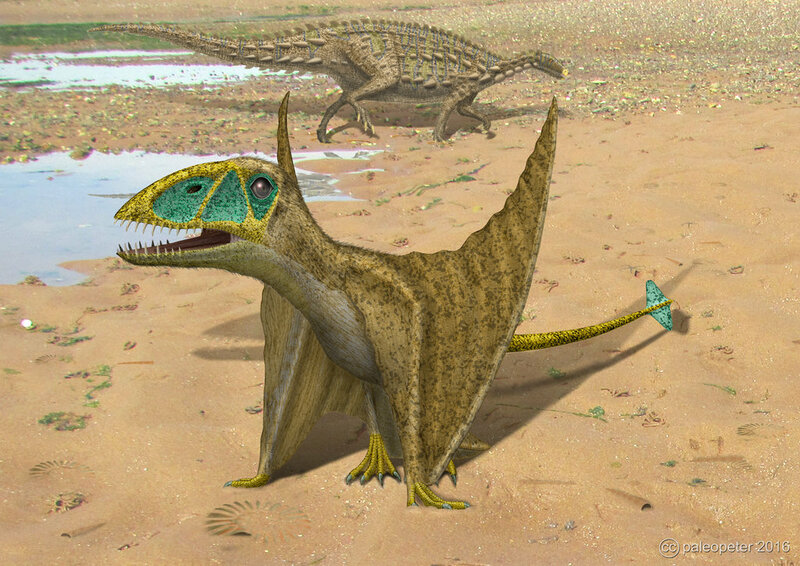 Its name means “two-formed tooth.” It was given this name because it had two different types of teeth in its jaws. 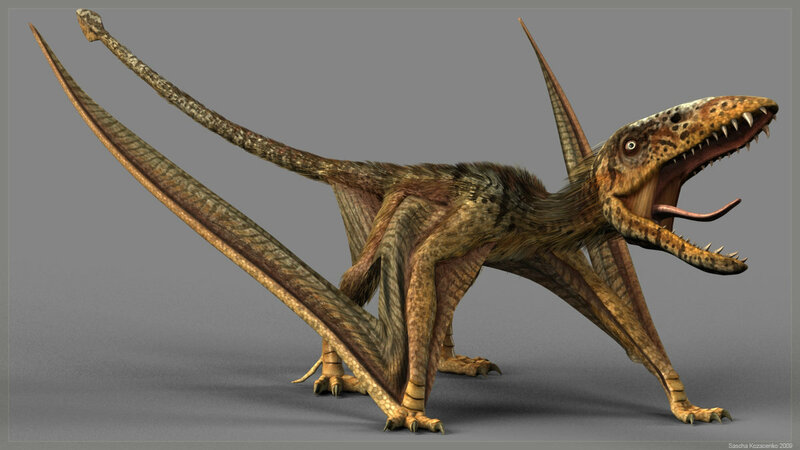 The front teeth looked like they were designed to grab prey and its back ones look like it was used to grind things up. 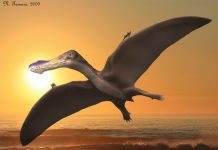 If you look closely at Dimorphodon pictures, then you might be quick to come to the conclusion that someone drew this animal wrong. 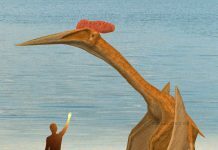 After all, it does have that look like it was a model that somebody put together wrong – that somehow it large head was placed on its slender body by mistake. 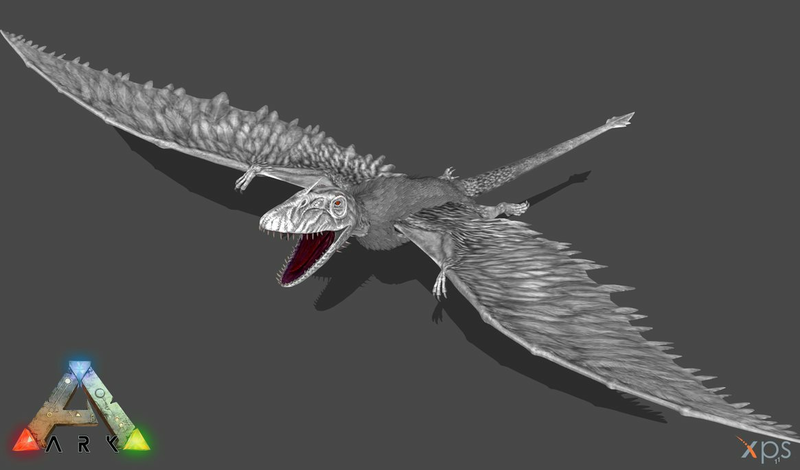 However, I assure you that is how this flying reptile actually looked. 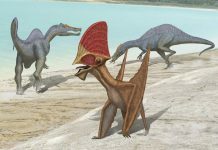 Dimorphodon was approximately 2 feet long, weighed around 2 pounds and had a wingspan of about 4 feet. That made it about the size of a modern-day American Crow. However, it was probably a whole lot scarier than today’s crows because it did have that head that was filled with razor-sharp teeth. Teeth that could have been used to eat fish but may have also been used to eat insects as well. 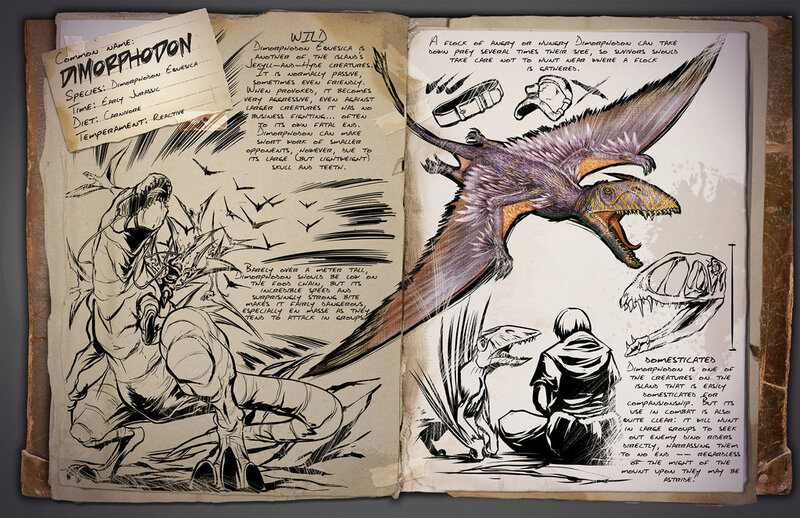 Paleontologists are quite sure at the moment. 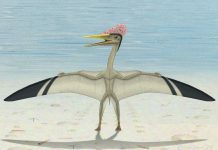 One of the most interesting facts about Dimorphodon is that it had a long tail with a flap of skin at the end that was shaped like a diamond. 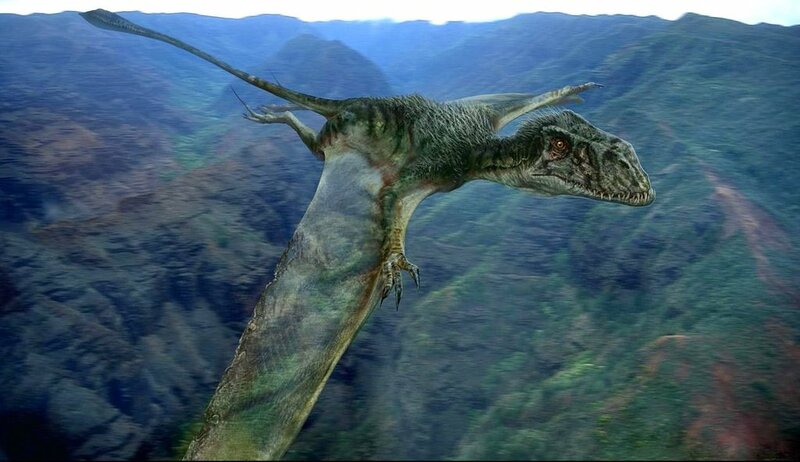 Paleontologists believe that this was used to stabilize it during flight – much in the same way a tail is used to stabilize a kite. 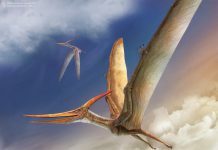 Which probably means that this pterosaur soared instead of actually flying, although it may have done a combination of both depending on the situation.